Grow your own garden with these fun garden shapes! 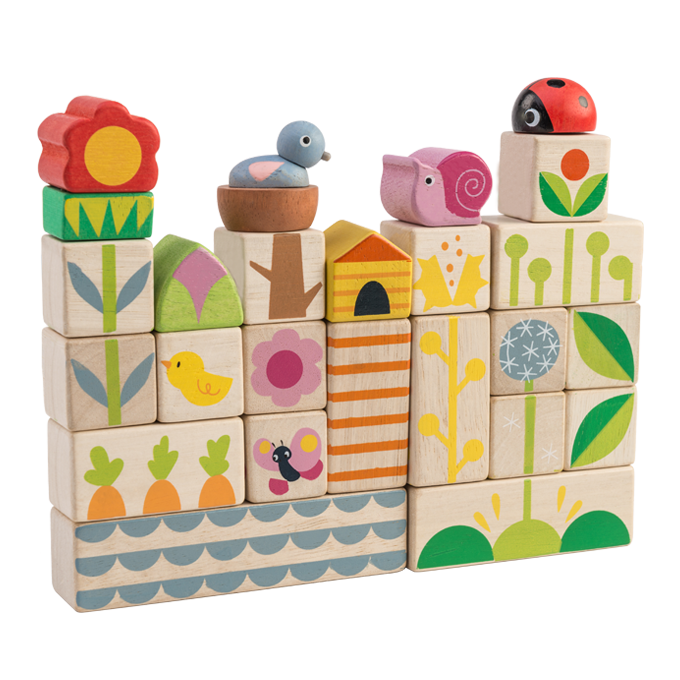 All 25 pieces of our push and click blocks are illustrated with a nature theme. 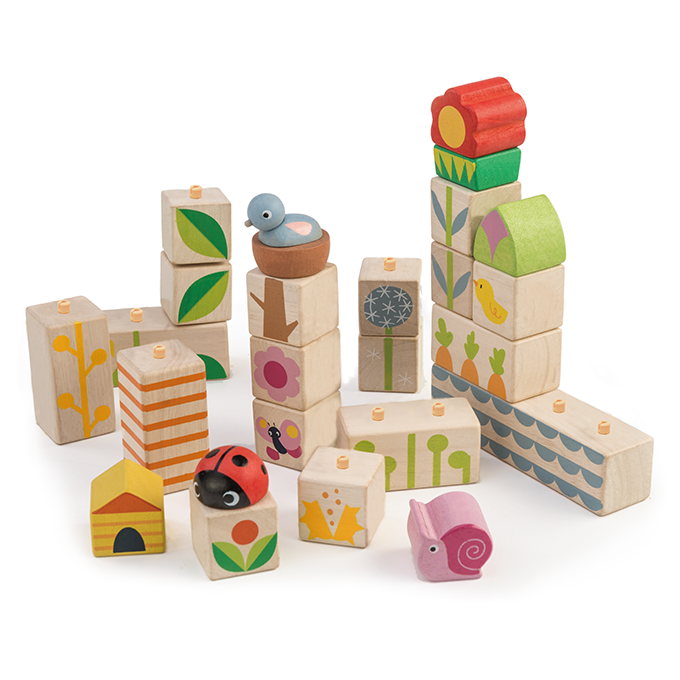 Develops hand eye coordination, and balance during the stacking process. The garden graphics will also help to develop sorting skills. Product size: 4.72" x 1.18" x 1.42"